Our model Krissy from The Beauty Within was absolutely stunning in a new Marchesa bridal gown from L'Elite Bridal and soft updo by Kristen Moshiek and makeup by Jessica D'Amore. 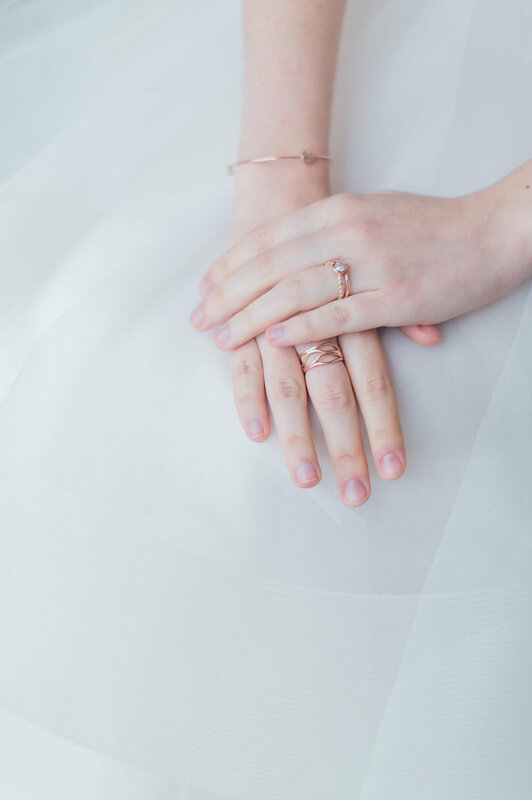 Krissy wore delicate custom rose gold engagement ring and jewelry by E. Scott Originals Jewelry. For our styled table, we collaborated to design a unique and romantic setting inside the estate's airy and light entry way. 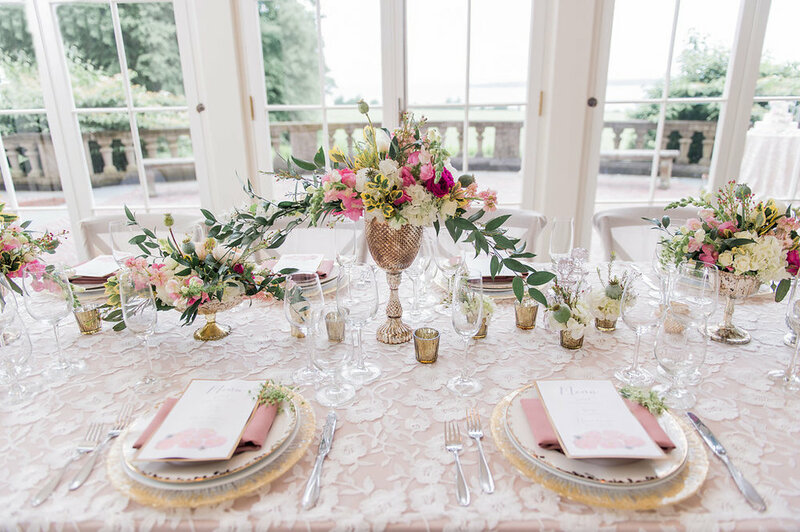 The table features BBJ Linen's soon to be launched overlay, 'Blooming Lace' over Flax Faille Linen, and paired beautifully with their Gold Frost Chargers, Rosewood Faille Napkins and Ivory Graceful Chair Drapes. The table was complete with Chase Canopy's Napa Chairs and table top rentals, Kadeema Rental's vintage specialty decor accents, and of course the lush and organic florals pieces and bridal bouquet by the talented Artistic Blossoms that featured garden roses, poppy pods, eucalyptus and greenery. 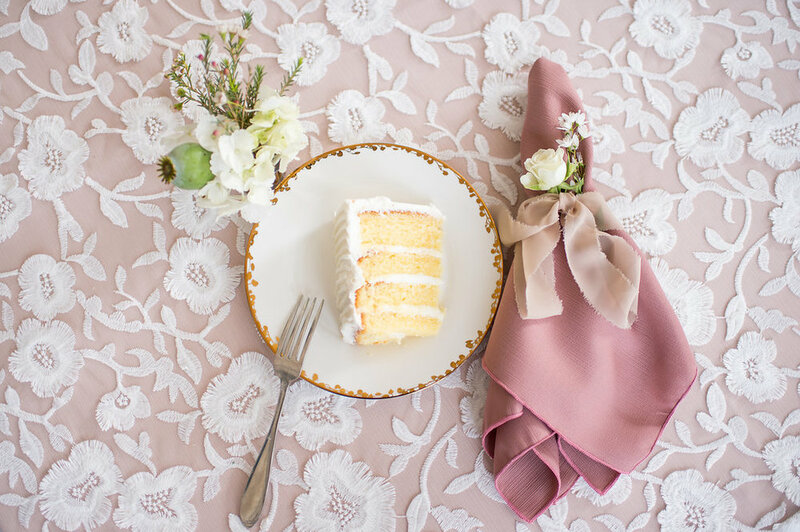 The vision for the cake table was to pair the soft and textured 'Champagne Corsage' linen from BBJ Linen with a classic and elegant cake from the one and only, Icing on the Cake. 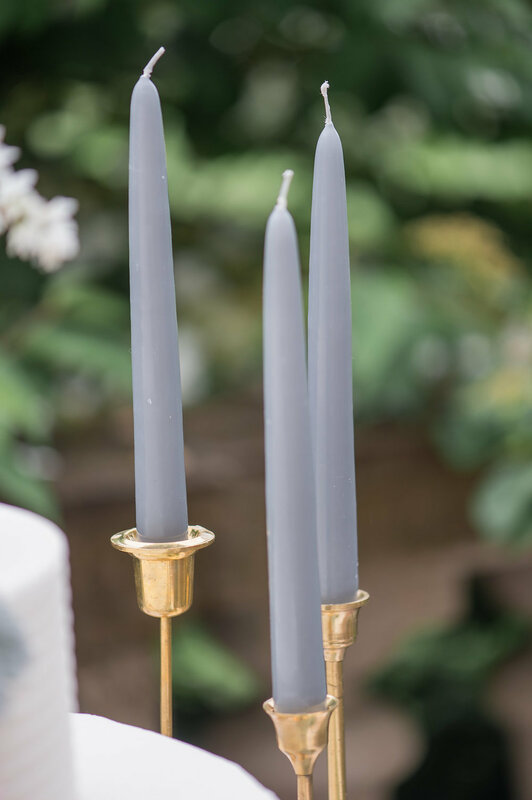 The cake was styled with cascading florals and lovely brass candlestick accents to bring the table to life. 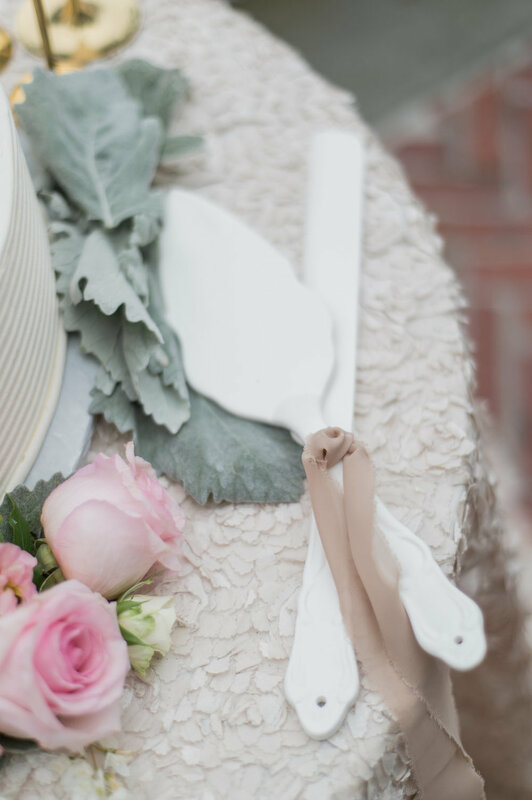 The shoot was beautifully shot by Lynne Reznick Photography, who brought her eye for design and perfectly captured the essence of our styled shoot. Enjoy the gallery below as much as we do!